Invite the kids to make a fall leaf baby with real autumn leaves. If you like “Leaf Man” you will love this easy fall leaf nature craft. Creating fall art with leaves is an easy autumn-themed book inspired nature craft for kids. 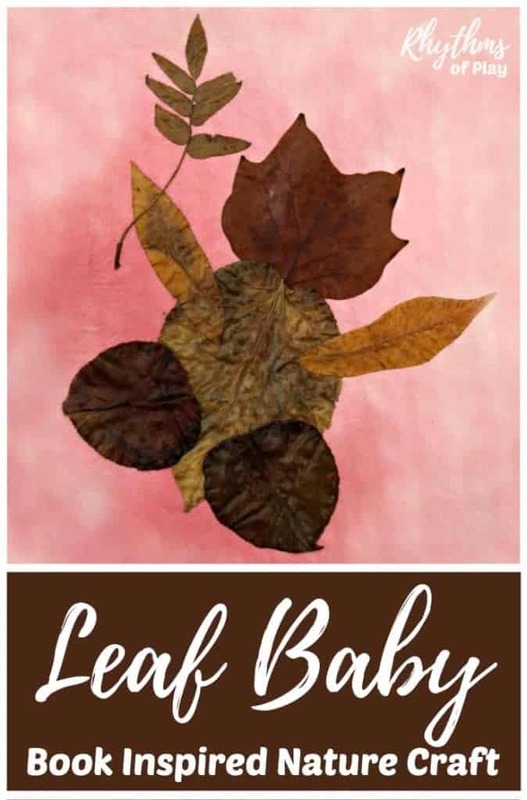 This autumn leaf craft is also a fun activity for a baby shower and is a unique gift idea for a new mother. We recently dug this project out of the art box to take pictures of it and share it with you. Our leaf baby is two years old in these photos! After reading Leaf Man by Lois Ehlert with my daughter, we were inspired to create some of our own leaf art. We used some of my daughters single color wet-on-wet watercolor paintings as the canvas for our projects. My daughter and I created lots of leaf nature crafts including fish in the sea, and, a leaf baby! Single color, two color, and/or three color wet-on-wet watercolor paintings or construction paper or cardstock. 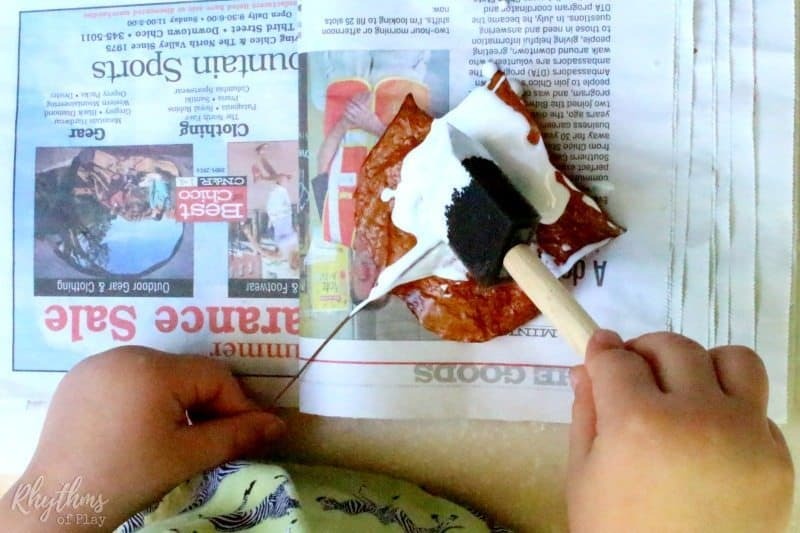 Step 3 – Apply Mod Podge with a foam brush on the back of each leaf. Step 4 – Glue the autumn leaves onto watercolor paintings or construction paper in the shape of a leaf baby. If you don’t want to make a leaf baby, use any of the gorgeous leaf art projects as inspiration to do your own thing. We have a few more watercolor and fall leaf art projects you may also be interested in. Click on the link to see them. Step 5 – Use a foam brush to apply Mod Podge on top of the leaf baby nature craft project to seal and protect it. Don’t skip this last step if you want to preserve your leaf baby. The photos shown were taken when our leaf baby was 2, but we preserved it before we put it away. If you would like to learn more about preserving autumn leaves, click on the link! 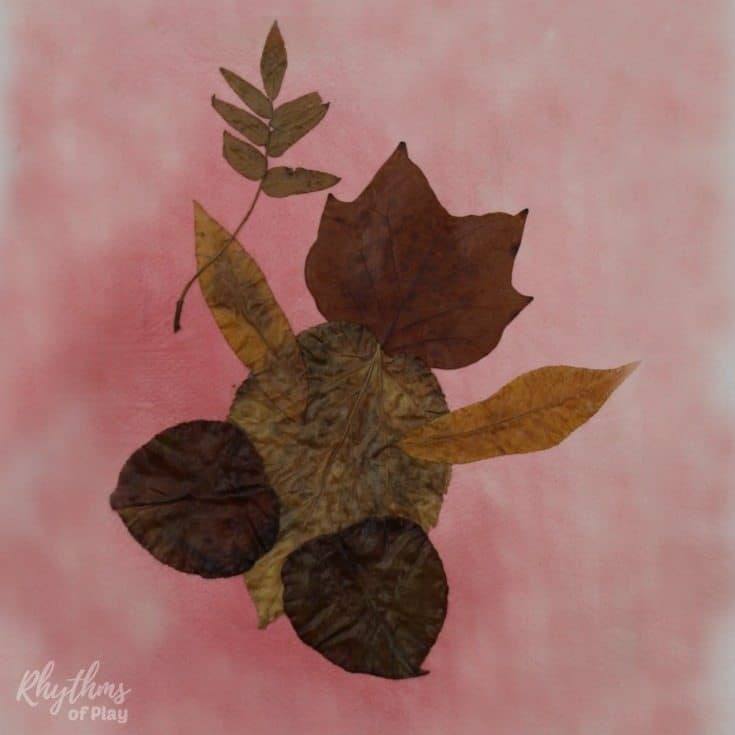 Use real autumn leaves to make “Leaf Man” inspired nature crafts. Creating art with leaves is an easy book inspired nature craft for kids. Making leaf babies is also a fun activity for a baby shower and is a unique gift idea for a new mother. For more ideas be sure to check out this amazing collection of fall art projects for kids, and our fall bucket list family guide for the best autumn ever! You may also like this collection of nature crafts and art activities for kids and teens.